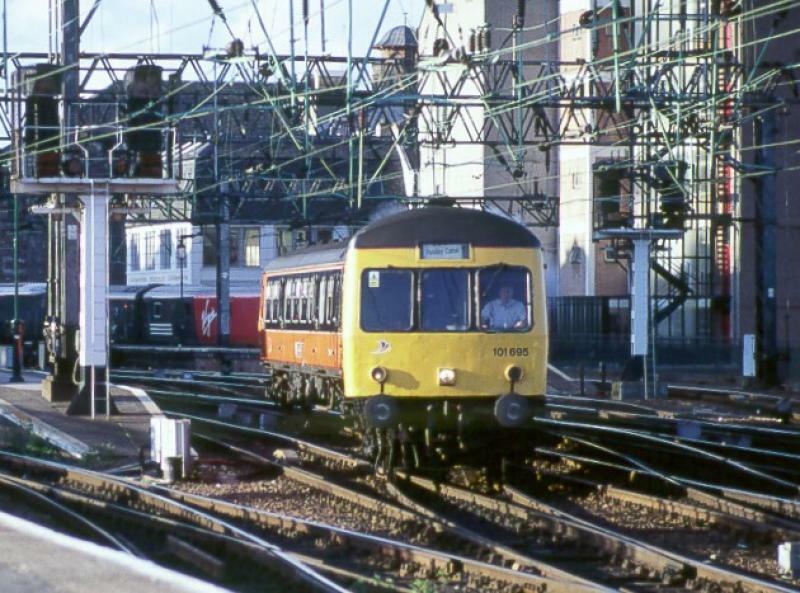 The Class 101s operated various routes in Scotland up to the late 1990s, when newer class 170s started a stock cascade. 101684/686/687 were first to arrive, for Paisley Canal services, with 691/692/693/694/695 arriving to operate the Whifflet services later. 101 691-695 came from Haymarket and were reduced to 2 cars units. 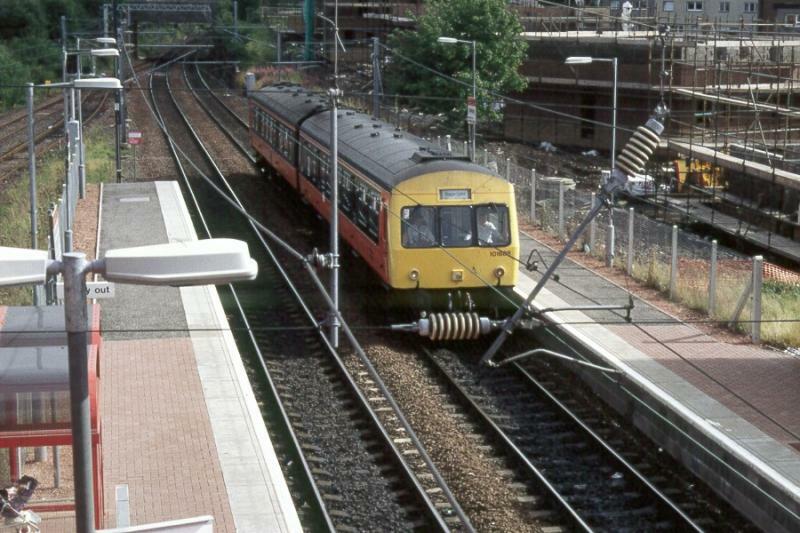 A number of other 101s were soon drafted in to release Class 156s from the Glasgow Central to Barrhead line, to allow Kilmarnock services to be strenthened. (101 688-690) This took the fleet up to 11 units. The 101s would occaisionally turn up on the East Kilbride or Kilmarnock line also in the event of a 156 failure. Another new route was opened in the late 90s. Motherwell to Cumbernauld got a direct service and 101 692 was repained into a special SPT livery. Eventually during the stock cascade 101 692 was transferred to Longsight, to operate local Manchester services. It is now in preservation. 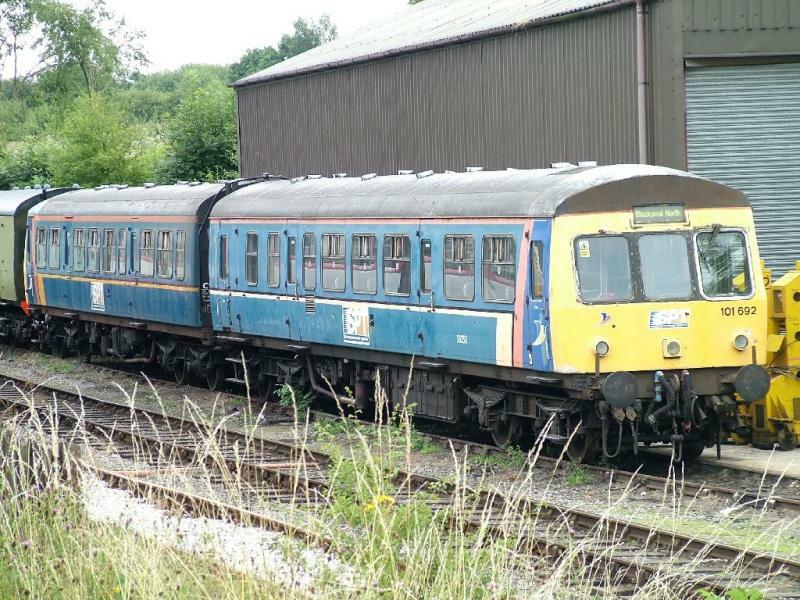 101692 pictured at Butterly, home of the Midland Railway Centre. 101688 arrives at Whifflet to form a service to Glasgow Central. 101688 did not get a chance to make preservation. This unit was destroyed in a fire while working ecs to Whifflet at Mossend. Operating with 101695, 695 escaped with minor damage. Created by SC318250 and last modified by puffinscot at 16:40, 26 of May 2018.